The ultimate candle. The ultimate beeswax. Pheylonian candles are famous for their purity and quality. 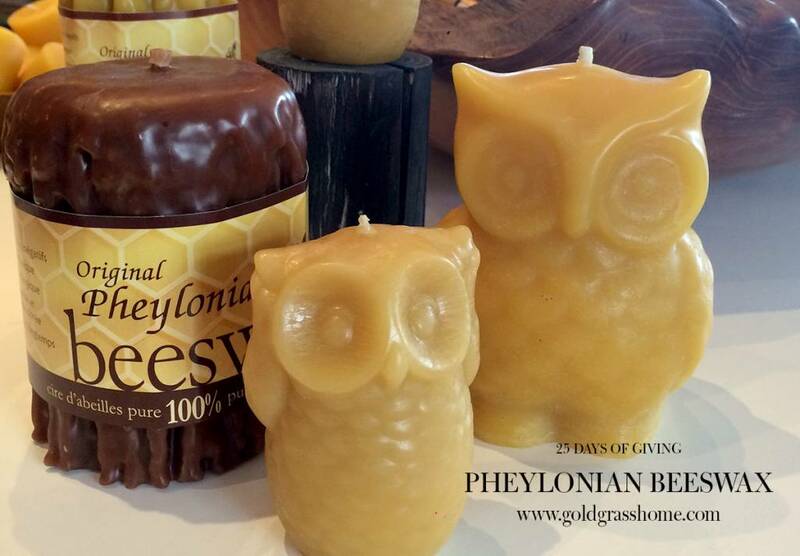 Made from pure, cappings beeswax collected from their Ontario hives, there is really nothing that compares with Pheylonian. Today for our 25 Days of Giving, we’re featuring the entire Pheylonian line. 10% of all Beeswax Candle sales will be donated to Resolve. Whoever you’re buying a gift for will love the long-burning glow, (up to 5000hrs!) and the amazing, natural beeswax aroma. And, of course, they will love you for choosing a candle that is 100% natural & lead-free. Available in three natural colours, and all kinds of shapes and sizes, these candles are the perfect gift or stocking stuff to light up someone’s day. And remember, by taking part in our 25 days of Giving, you’re not only getting awesome natural gifts for friends and family, and helping us support a great cause, you’re also entering to win one of our Ultimate Spa Kits, valued at over $1000. The more you take part, the better your chances of winning. So let’s get going!